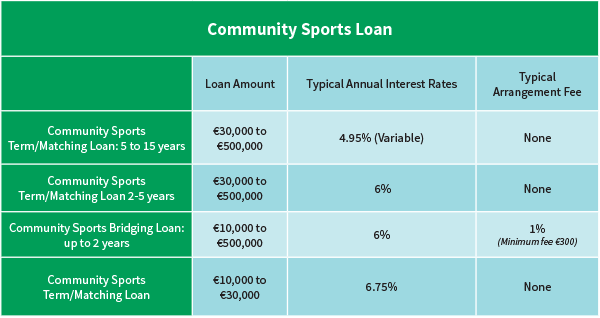 As Ireland’s leader Community Loan Finance provider, Clann Credo can help your community sports project with the finance it needs. Clann Credo is a not for profit charity which considers the impact your project has on your community. 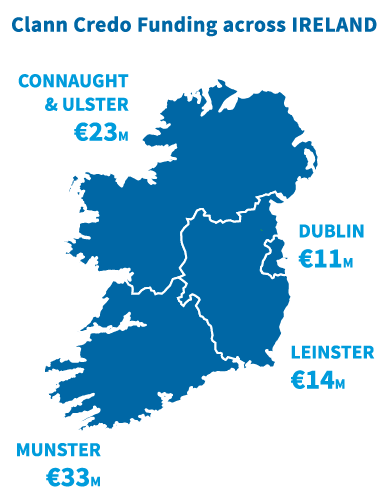 Clann Credo has loaned over €100 million to more than 900 community projects nationwide over the past 20 years. It has a special €10m Community Sports Loan Fund to help community groups access sports grants and funding by providing them with Community Loan Finance.